Join StrideBox to get a monthly delivery of gear and accessories. Try a variety of products and discover your new favorites. Find Your Fast. Includes USPS First Class Postage! 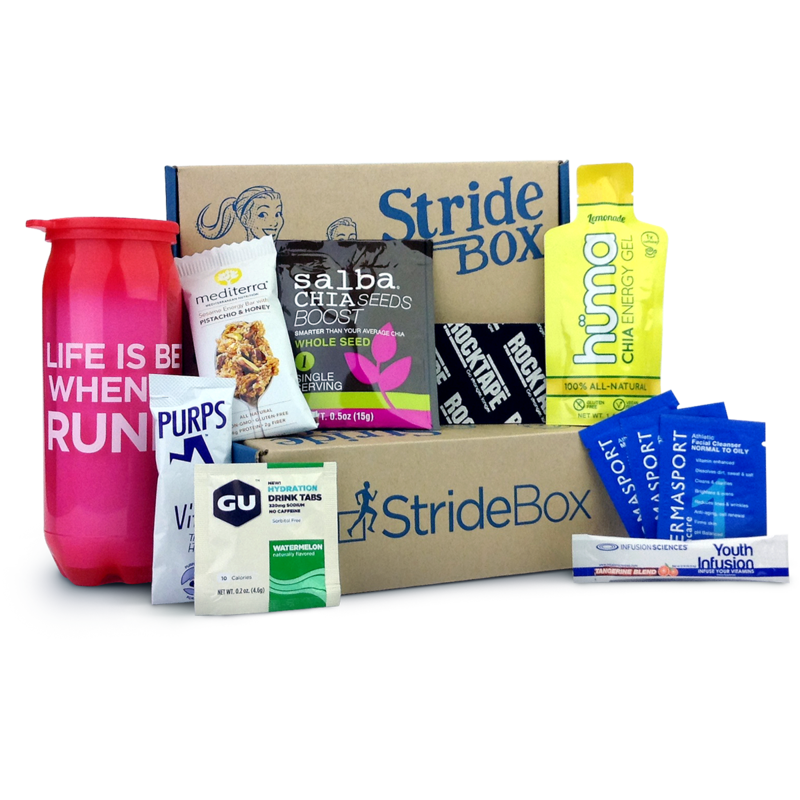 A monthly delivery of running nutrition and accessories to help you Find Your Fast! Try out new products, flavors, and formulas to help you train, race, and recover. Each box includes 4-7 items including nutrition, skin care, safety gear, as well as other running related items delivered each month, direct to your doorstep. Your card will be charged today for your first shipment, and then your subscription will automatically renew on the 26th each month for the following months shipment. Your first box will ship immediately, and future boxes will ship between the 2nd and 7th of each month via USPS First Class postage (2-4 day delivery). Your first box will ship within 5 business days of purchase (no waiting! ), and subsequent monthly boxes will follow our normal shipping schedule and will ship before the 7th of each month. The first box will be either an existing curated StrideBox, or one of our “Best Of” boxes, depending on inventory and timing. At this time, monthly boxes can only be shipped within the United States, and APO/FPO military addresses.